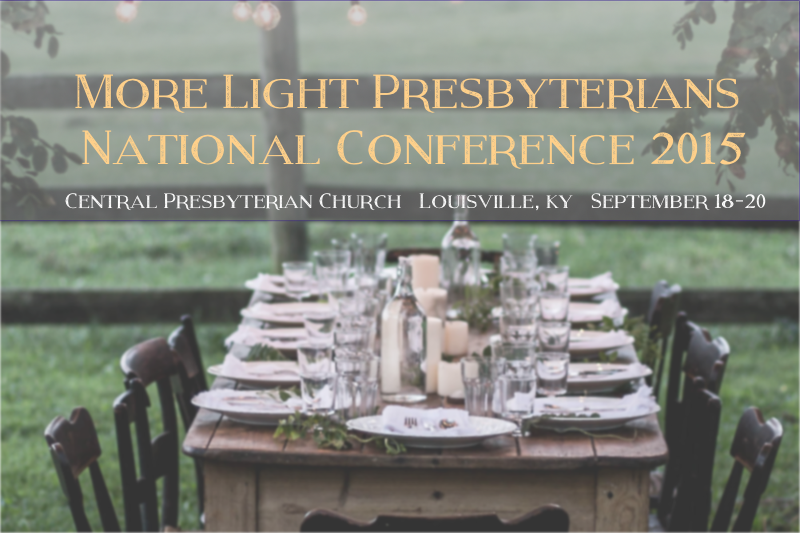 All are invited to join More Light Presbyterians for our 2015 National Conference at Central Presbyterian Church in Louisville, KY September 18-20. The number one question our More Light congregations are asking is “what’s next? How do we take further steps on the path towards radical welcome in our congregations and communities where we live?” The conference will be an opportunity to explore together how we and our congregations can more fully live into the welcome for LGBTQ folks that we proclaim. The conference theme is a “Queer Church Beyond Inclusion” as a way to envision a hope beyond what we can already see. We are at a pivotal time in the life of the church. Now more than ever, the world needs more light to shine forth. We can’t wait for you to join us to envision and live into this future together! Click here to download the full MLP conference Program! Central Presbyterian Church parking instructions. Download this poster for your church, family, and friends! Alex Patchin McNeill is an openly transgender man, a life-long Presbyterian, and a nationally known educator and advocate for lesbian, gay, bisexual, transgender and queer (LGBTQ) Christians. He has trained hundreds of Christians to become community leaders through the Institute for Welcoming Resources and the Reconciling Ministries Network. He played key roles organizing faith communities for the passage of Amendment 10A in the PC(USA), and for marriage equality legislation in Maryland. McNeill has also campaigned for ballot measures and legislation to promote LGBTQ rights. His journey to ordination is currently being chronicled in the documentary, Out of Order. Alex holds a Master’s of Divinity from Harvard Divinity School, and a Bachelor’s degree from the University of North Carolina – Chapel Hill. He currently resides just outside of Washington, DC with his wife and three dogs. Derrick McQueen is a Ph. D. Candidate in Homiletics and New Testament at Union Theological Seminary in the City of New York. He entered the Ph. D. program after completing his M. Div. with a focus on Theology and the Arts, also at Union. He earned his B.A. in Theatre Arts at Drew University in 1987. 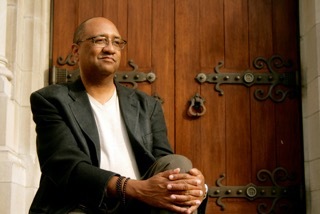 Derrick’s interests include: practical theology; integrating current academic theologies and Empire critical biblical studies into congregational and community life, classical dramatic structures and their influence on Christianity, early Christian community models of social justice and their modern applications on issues such as poverty, sexuality, race and gender. Within the Presbyterian denomination he worked on the successful campaign for LGBTQ inclusion in church life while serving on the boards of Presbyterian Welcome and That All May Freely Serve. He is currently serving as the Moderator Elect of the Presbytery of New York City where he is a candidate for ordination in the Presbyterian Church USA. Patrick Evans is a native of Birmingham who returned home after 27 years away to join the University of Alabama Department of Music Faculty as Professor and Chair in July of 2015. He was Associate Professor in the Practice of Sacred Music at the Yale University Institute of Sacred Music and was Director of Music for the daily ecumenical worship in Marquand Chapel at Yale Divinity School. He was chair of the voice area and director of the opera program at the University of Delaware, where he was a tenured Associate Professor from 1994-2004. 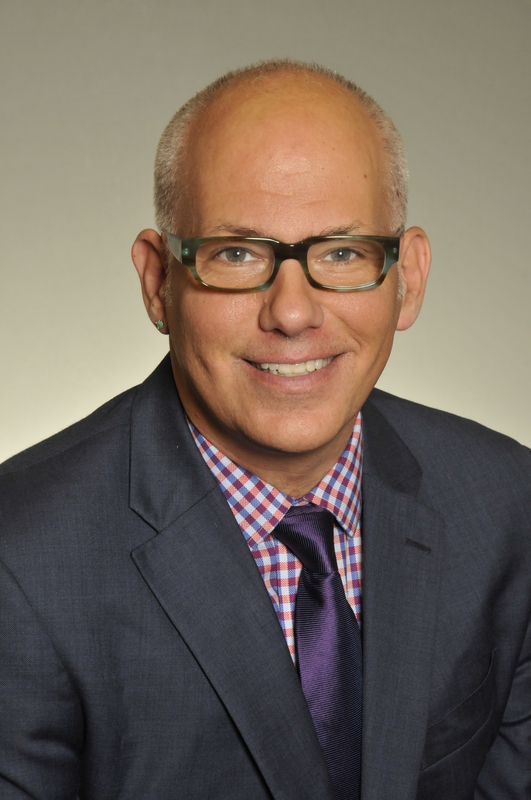 As an administrator, he served as Director of Admission for the School of Music at DePauw University, and as Interim Executive Director for More Light Presbyterians, a national non-profit working for justice for LGBTQ people in the Presbyterian Church (USA). Rev. Robin White, currently, co-moderator of the MLP Board. Honorably Retired, Robin was ordained in 1986 and has served as pastor of five congregations in Delaware and Maryland. She is a member of the Baltimore Presbytery and is a former member of the MLP board. Robin resides in the mountains of West Virginia with her spouse, Rhonda, and their two dogs and two cats. She has spent much of her time over the past few years caring for her terminally ill father, and her 90 and 91 year old in-laws. She volunteers at an ovarian cancer retreat where she serves as a yoga instructor, in addition to providing spiritual and pastoral care. Robin designs and builds furniture and in her free time she loves hiking, kayaking and camping. Shawna Bowman loves to wrestle with God at the intersection of creativity, spirituality, queer theology and pastoral care. She pastors a quirky and radically gracious community called Friendship Presbyterian Church that meets in the Norwood Park Metra Station in Chicago IL. 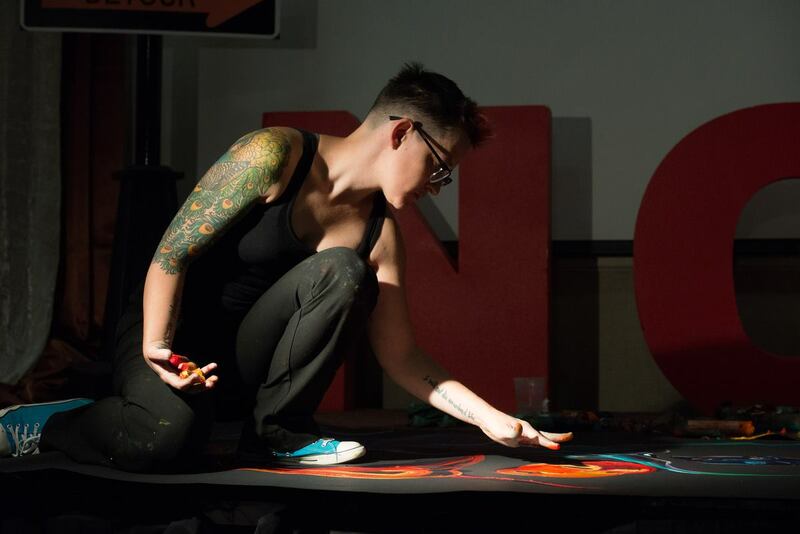 Shawna works with churches, faith communities and not-for-profit organizations to help them tell their story and agitate for justice through the visual arts. She also paints, builds and invites others to encounter God through art-making during worship and events. Shawna is passionate about empowering others to integrate visual-arts in their spiritual and worshiping life. She teaches workshops and leads retreats in order to provides space for artists to integrate their spiritual and creative selves as well as learn how to incorporate the arts in their congregation and faith communities. You can find Shawna’s work and words at artforgodsake.com and her sermons and lectionary reflections at shawnabowman.com. Her church is also on the web at fpcchicago.org. Learn about our workshops here! Hotel Louisville: A downtown Louisville hotel with a heart for social justice! More Light has secured a group rate of: $68/night for a single and $79/night for a double. The hotel operates as a job training site for people in recovery or transitioning from homelessness, many of whom would not be able to gain re-entry into the workforce without these critical job skills. The hotel is close to Central Presbyterian Church. More Light has chosen to support this hotel with our business for the national conference. Courtyard by Marriott Louisville Downtown: More Light has secured a group rate of $135 per night. Overnight parking is $6/per night. They offer a free airport shuttle! These rooms will book quickly! Please book by 8/15 to ensure your spot. Seelbach Hilton Louisville: Rooms start at $179/night. No airport shuttle available. Dinner on Friday, September 18, lunch & dinner on Saturday, September 19 are included. Please indicate any specific dietary needs/requests in “Special Requests” on the registration form. 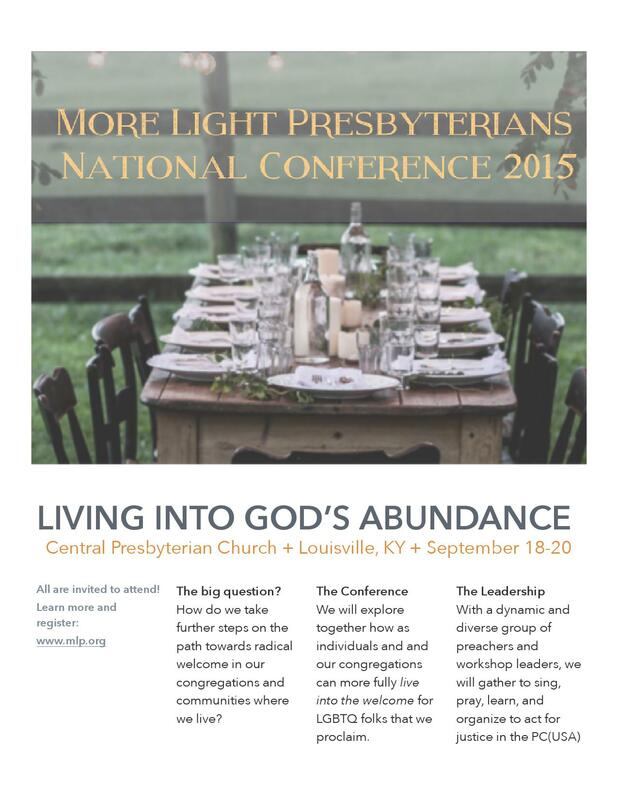 The cost to attend the conference is $100 per person, or $160 for two traveling together. The cost to attend for college/seminary students and youth is $50. Local commuter conference attendance for Saturday, September 19 is $50 (can be paid in advance or at the registration desk). There is also a group discount, five for the price of four. The conference registration deadline is September 4. Conference scholarships are available for college/seminary students and youth and those with limited income. You may apply for a scholarship using MLP’s Scholarship Application form. We encourage media coverage of More Light Presbyterians’ events. We seek to maintain a balance between legitimate media access in the interest of accurate reporting, while also respecting the privacy and confidentiality of the participants at More Light events. All media representatives are required to agree to be bound by this policy, register, receive, and display media badges. More Light Presbyterians reserves the right to verify the credentials of all proposed media representatives, and to deny or revoke access in its sole discretion, at any time. All media must wear their media badge so that it is clearly visible at all times. In addition, all media must verbally identify themselves as media when entering conversation with event participants or leaders. Subject to this policy, media representatives are welcome to participate in plenary sessions. Small group workshops, question and answer sessions, and covenant groups, are not opportunities for media reporting or participation. Permission from MLP is required for photography, videotaping or audio recording More Light Presbyterian events or the participants of MLP events. Media representatives wishing to schedule interviews or clarify this media policy should contact Robyn Henderson-Espinoza, Communications Director at robyn@mlp.org.